The RTMS SX-300 HDCAM by Image Sensing Systems an advanced radar-based roadside sensor which offers both traffic detection and high-definition video images. The ideal non-intrusive sensor for combining live high-definition video images with exact volume, classification, speed and occupancy in up to 12 lanes of traffic from the side of the road. The small, sleek design allows quick mounting on poles, making it very suitable for both urban environment and interurban environments. The SX-300 HDCAM has a lane-detection wizard for minimizing configuration time. The sensor combines maximum robustness for roadside operation with video, and optimal performance through high resolution data capture. Provide visibility from the detector to verify the accuracy of zone setup across all lanes. Simplified visual ground truth ability for deployment verification. Facilitate real-time visual traffic surveillance anywhere, anytime. Still image publication to ATMS and ATIS. 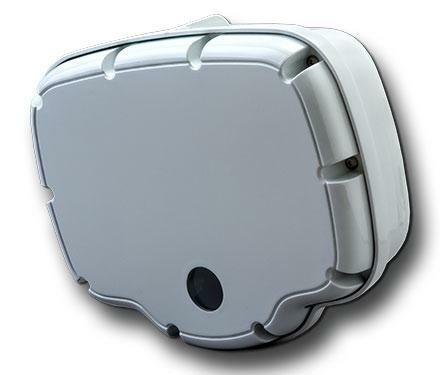 This product was designed by Image Sensing Systems, and is distributed by trafficnow in parts of Latin America.